With a recording bell, it would look more saxophone like in appearance. I particularly admire the microphone placement. bloke wrote: I particularly admire the microphone placement. I hope he has got quiet valves! Was that tuba, originally, a B/M Symphonic York Master...?? Three Valves wrote: How about a Cyber Monday Sale?? An ascending Bb/C/F contrabass trombone designed by J.C. Sherman. I'd love to see a compact (tuba shaped) smaller bore cimbasso/bass trombone, perhaps with a recording bell and F/Eb capability. What about an all Thayer valved tuba? I can see that engineering that valve section might be difficult, but I wonder how it would play. Isn’t Gronitz going out of business? 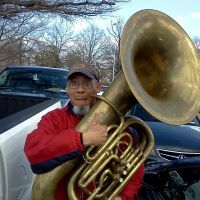 We could use a double tuba like that one they made for a brief stint (Dr. Young has one). Last edited by KiltieTuba on Tue Jan 02, 2018 4:36 pm, edited 1 time in total. Gronitz instruments are now being built by Andreas Klingspor. Looks like contact info has been updated. 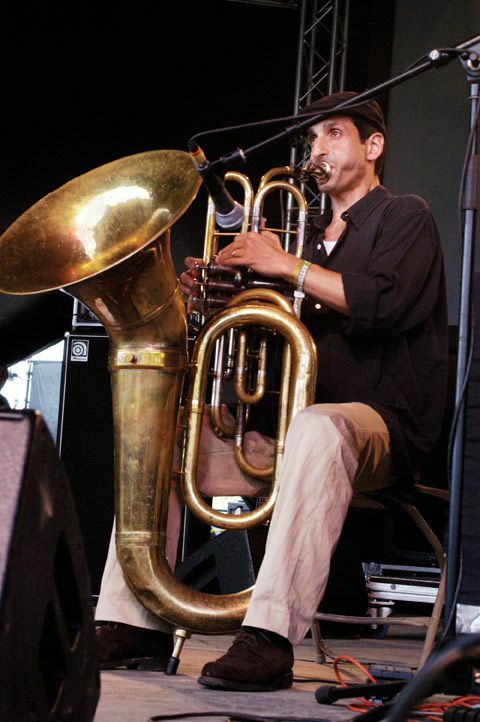 I would be interested in seeing a similar design to the new compensating CC only in F. I know Besson made a few compensating F tubas and it would benefit a lot of players who play F to not have to do so much slide pulling and odd finger combos. 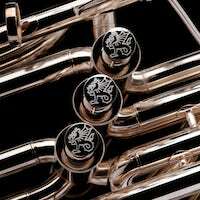 BBruce107 wrote: I would be interested in seeing a similar design to the new compensating CC only in F. I know Besson made a few compensating F tubas and it would benefit a lot of players who play F to not have to do so much slide pulling and odd finger combos. A Wessex compensating F is in the works I believe. Which makes me think, how about an "in the works" section on the Wessex website? So many new instruments coming out and it's hard to keep track of them all between here and Facebook. Put them all in one section on your website.